Spray Nozzle Engineering designs and manufactures total spraying solutions for Industry. Our expertise extends to vehicle fire protection nozzles incorporating patented protective nozzle cap systems. Just like our range of ‘Blow-off’ cap nozzle series, the BM Foil nozzle is also designed with fire systems in mind. The BM Foil system incorporates a ‘Foil In Cap’ orifice protective system, that DOES NOT use rubber or silicone O-rings in the nozzle head cover, therefore ensuring that the BM Foil series IS NOT susceptible to polymer degradation and adhesion that can impede operation. Uniform distribution of droplets in a full cone pattern. Droplet size is larger than in hollow cone nozzles of equal capacity. Small to medium droplet size. Protective cover and lanyard available (Patented). One piece body with removable core. 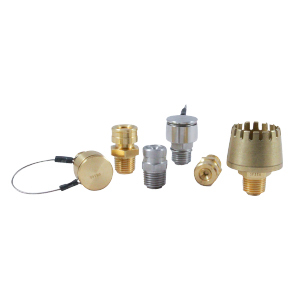 Various core options available including VX (X-Vane) as standard. 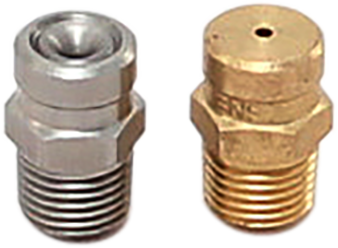 Spray Nozzle Engineering designs and manufactures a full range of specialty vehicle fire protection nozzles and protective dust caps. This now includes the BM spray nozzle range with patented rolled lip reducing internal vane dislodging from the nozzle body during handling and installation or due to thermal expansion. 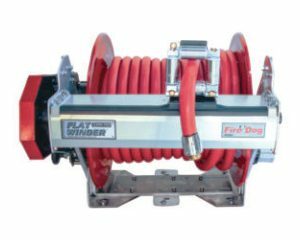 This technology coupled with the Patented BM14 protective dust caps with retention lanyards utilise an internal O-ring that retains itself on a standard non-modified BM Series nozzle. Older style nozzle systems have an O-ring groove machined on the nozzle body; adding cost to the standard nozzle systems. BM Series nozzles produce uniform distribution of small to medium sized droplets in both standards and wide-angle solid cone spray patterns and along with the patented BM14 protective dust caps make the BM Series the first choice for vehicle engine bay foam fire protection applications in industries such as mining, farming and forestry or in any application required a blow-off protective cap. Our expertise extends to vehicle fire protection nozzles incorporating patented protective nozzle cap systems. Just like our range of ‘Blow-off’ cap Nozzle series, the BM Foil nozzle is also designed with Fire Systems in mind. The BM Foil system incorporates our NEW ‘Foil In Cap’ orifice protective system, that DOES NOT use rubber or silicone O-rings in the nozzle head cover, therefore ensuring that the BM Foil series IS NOT susceptible to polymer degradation and adhesion that can impede operation. The BM Foil Nozzle design incorporates an orifice protected by a patented foil cover that is designed to burst when required. In addition, this foil has the added benefit of a ‘Positive Foil Dislodgement’ system that ensures the foil protecting the orifice will fully dislodge, thus not interfering with spray distribution and suppression performance. Because the BM Foil does not use rubber or silicone seals and O-rings, it is perfect for applications where an All-Metal system is required over traditional non-metal retention system; for example in high heat and dust susceptible environments found in mining, Off-Road vehicles and machines. The BM range is manufactured to batch numbering standards, and is available in both full brass construction, full stainless construction or a combination of the two for improved corrosion resistance. With three common sizes and two spray angles, the range can also be customised for individual applications. BM-Foil series nozzles produce uniform distribution of small to medium sized droplets in both standard and wide angle solid cone spray patterns; make the BM-Foil series the first choice for vehicle engine bay foam fire protection applications in industries such as mining and farming.